The invisible way to straighten your teeth without braces. To discuss clear braces in the Medford NY area, please feel free to contact us to schedule an appointment. The aligners are made through a combination of Dr. Perry’s expertise and 3-D computer imaging technology. As you replace each aligner with the next in the series, your teeth will move – little by little, week by week – until they have straightened to the final position Dr. Perry has prescribed. You’ll visit Dr. Perry about once every 6 weeks to ensure that your treatment is progressing as planned. , when we initiated our “Early Interceptive — Phase 1” treatment protocol. Working with children at an early age (5—10), using expanders and a variety of other effective growth appliances have enabled us to avoid unnecessary extractions of healthy permanent teeth, and most importantly, produce fuller, broader more attractive smiles for our children. These smiles will be attractive for a lifetime. By the way, it’s not too late for moms and dads to make their smiles more youthful. 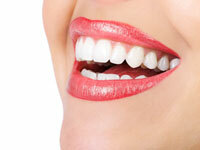 As NPR noted, lower front teeth become more noticeable with age. Invisalign helps adults achieve the straight teeth they’ve always wanted, without the need for braces. Now if only there was something as simple for the rest of our bodies. A confident smile and increased self-esteem aren’t the only benefits of correcting your smile with Invisalign – your oral health can be positively enhanced as well. Learn more about several common issues below that an experienced Invisalign-trained dentist such as Dr. Perry can help you to correct. …occur when there is simply a lack of room within your jaw for all of your teeth to fit normally. When left untreated, overly crowded teeth can cause an increased chance of gum disease as your teeth are harder to clean and can prevent the normal function of teeth.